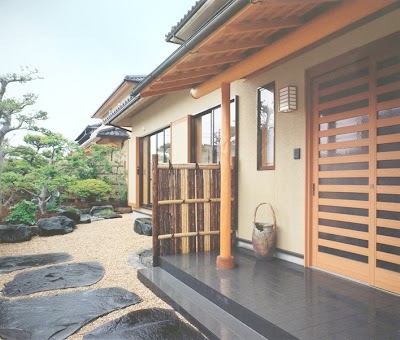 JapaneseWall 禅壁ブログ: How to Go Green in your house? How to Go Green in your house? THE NEWER or more recently renovated your home is, the more likely it is to have a high pollution level. Modern houses are better insulated and sealed, so toxins cannot easily escape. Open windows as often as possible. AVOID using petrochemical paints - try VOC-free paint or organic wall covering from Japanese Wall. IF THERE are hazardous substances like asbestos in your home, seek professional advice rather than remove it yourself. It may be the substance is safe until disturbed and it may be wiser to seal it off than to remove it. BUY carpets made from natural rather than synthetic fibres - these can emit formaldehyde vapours. Otherwise, use natural stone flooring. FABRICS marked easy-care, crease- resistant or non-iron have been treated with a chemical, usually formaldehyde and it won't wash out. Always buy natural fibres - but you should wash even those before use. If you want a bleached effect you can fade clothes naturally in sunlight. STORE food in cellophane or greaseproof paper or in glass or china containers rather than plastics which can release vapours, especially when hot. TRY natural alternatives to chemical cleaners. Clean House, Clean Planet by Karen Loganis a book full of recipes. If you do use chemical cleaners, wear gloves. AVOID electromagnetic radiation by using less electrical equipment and keep it away from beds. Turn off the TV, unplug the electric blanket and don't have a phone, electric alarm clock or radio near your head at night. RESIN vapours are present in pine, spruce, cedar and redwood. Try to use other woods, or better, use reclaimed wood sealed with a non-toxic finish. Also potentially dangerous is chipboard, as formaldehyde vapours can be released, especially when humid. SYNTHETIC varnishes trap chemicals in the wood and these are released when the surface becomes worn. Use linseed oil or beeswax on wooden furniture.